As co-founder of iSquared Communications, Jan Paul brings more than 25 years experience in sales and marketing experience on both the client and agency side. A business major at the University of Maryland, she held key positions with such groups as the Washington Cap Center, Pitney Bowes, Lanier Worldwide and Compugraphic Corporation before launching the firm. Specializing in media relations, she also heads the firm’s account service operations. 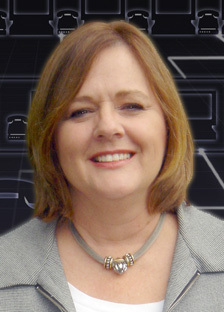 As executive vice president she has supervised the company’s public relations operation. She currently manages the organization?? ?s logistics, including media research, media buying, project management, project scheduling and relationships with printers, photographers, mail houses and other vendors. In addition, she handles many public relations duties such as press release writing and special event planning. She, too, has significant experience in working with governmental entities. Ms. Paul just completed her third year supervising the company’s relationship with the Department of Human Resources’ Secret Santa program and WSB’s Clark Howard.